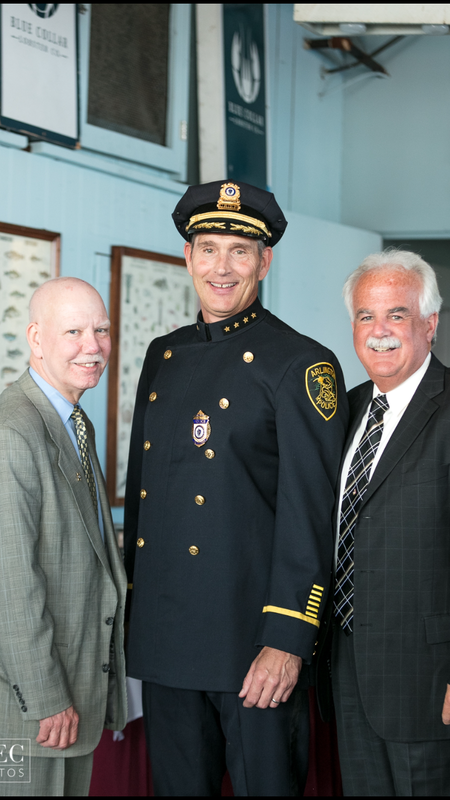 GLOUCESTER — John Rosenthal, Co-founder and Chairman of the Police Assisted Addiction and Recovery Initiative (P.A.A.R.I. ), and Executive Director Allie Hunter McDade are pleased to announce the start of an exciting two-year project funded by a grant from the Evelyn Lilly Lutz Foundation. Virtually all communities in Massachusetts and across the nation have been impacted by the rapidly growing heroin and opioid addiction epidemic. Essex County has been hit particularly hard, with drug overdose deaths rates higher than both state and national averages. Opioid overdose deaths have increased almost five-fold in Essex County since 2000. According to the Centers for Disease Control and Prevention, from 2012 to 2014, an average of 426 people died annually in Essex County due to drug overdoses, with projections for continuing increases indicated in 2015 and 2016. Essex County has a drug overdose mortality rate of 2 deaths per 10,000 residents, which is higher than both state and national averages. The grant from the Lutz Foundation totals $185,000 in 2017 and a potential additional $135,000 in 2018, in the form of a challenge grant, which will dramatically increase P.A.A.R.I.’s work in Essex County. This grant will help P.A.A.R.I. bring on additional police departments in Essex County, while expanding its staff to assist these agencies, steer participants into recovery, train officers to use Narcan and overall assist law enforcement work with those suffering from addiction. Through this additional staff support and coordination, P.A.A.R.I. will work with law enforcement agencies to prevent opioid overdose deaths, engage more residents in effective treatment and recovery from substance use disorders, and improve hospital, police, and community collaborations. The new P.A.A.R.I. outreach workers will receive training and initial supervision from leaders of the Gloucester Police Department Angel Program and Arlington Police Department Outreach Initiative. Applications are currently being accepted for these two positions. The Evelyn Lilly Lutz Foundation is a nonprofit organization engaged in supporting and encouraging medical research and continuing education in connection with Beverly and Addison Gilbert Hospitals. P.A.A.R.I. is pleased to welcome Victoria Kiarsis as the newest member of the P.A.A.R.I. team. Victoria will serve as Program Coordinator as P.A.A.R.I. launches this exciting two-year project with the Evelyn Lilly Lutz Foundation. Victoria is a recent graduate from Emerson College where she earned her bachelor’s degree in Writing, Literature, and Publishing. She has been personally involved in recovery for over three years and is incredibly passionate about helping others get the care they need. “P.A.A.R.I. blew me away when I first heard of it during the summer of 2015 and joining the team is truly a dream. 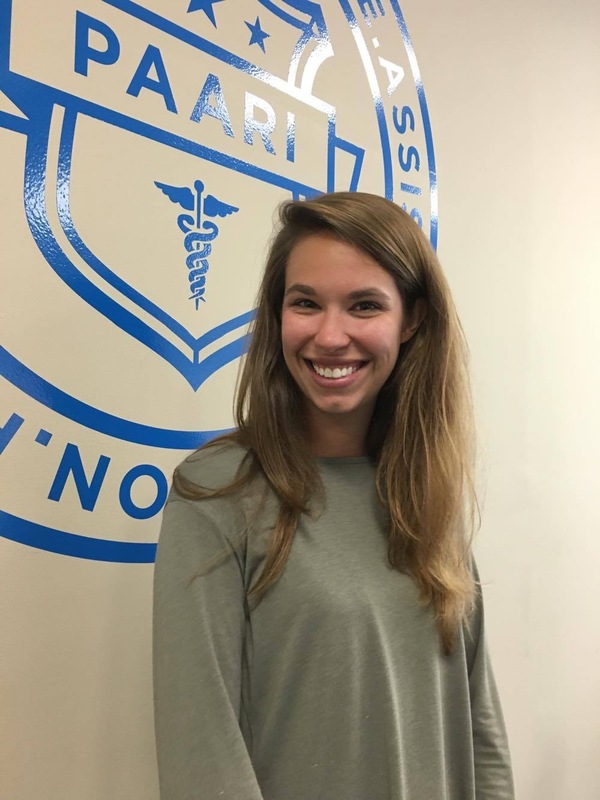 I am so excited to start my professional career with such an amazing initiative that works to help the lives of people suffering with the disease of addiction,” Victoria shared. In her role as Program Coordinator, Victoria will build relationships and manage communication with new and existing P.A.A.R.I. partners in Essex County, including law enforcement agencies, treatment providers, and community groups. She will also develop community resource kits, coordinate convenings and training sessions, track program data, and a variety of other tasks as P.A.A.R.I. embarks on this exciting new partnership. Victoria will be based in Gloucester at the P.A.A.R.I. office and can be reached at victoria@paariusa.org, or by calling her directly at (888) 9-PAARI-9 ex. 704. P.A.A.R.I. will work with 4-8 new law enforcement agencies in Essex County through the new project funded by the Evelyn Lilly Lutz Foundation. John Rosenthal, Co-founder and Chairman and Executive Director Allie Hunter McDade are pleased to announce that the Essex County Sheriff’s Department is the first law enforcement agency to become a project partner. Former inmates are at extremely high risk for fatal overdose after release from prison, especially during the first two weeks. As such, P.A.A.R.I. will support the department’s rehabilitative, educational, and reentry programming to help individuals with substance use disorders make successful transitions back to the community. Additional police departments and law enforcement agencies in Essex County are encouraged to reach out to Victoria Kiarsis, Program Coordinator, at victoria@paariusa.org if you would like to discuss being part of this project.